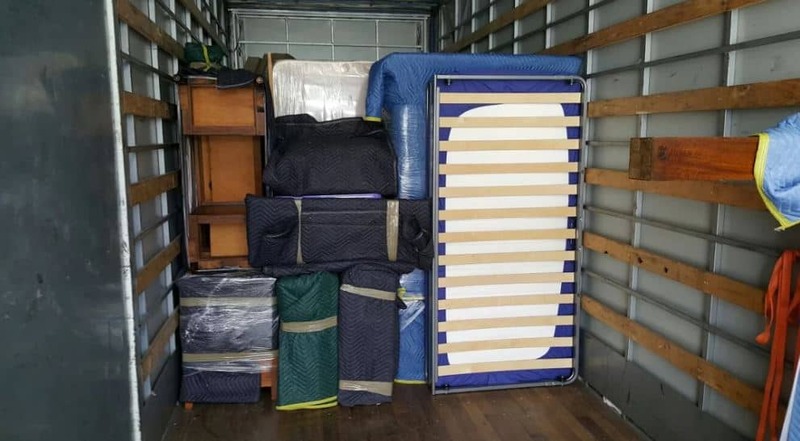 If you are looking to relocate from Brisbane to Sydney, you’ll require professional removalists Brisbane to Sydney who can deal with your belonging with exactness and efficiency. Are you advancing south to the big city? If Sydney is your destination, New South Wales’ capital has plenty to offer for business, culture, and way of life. Your enormous move merits the best removalists in the business; put stock in removalists to facilitate your belonging on their trip from Brisbane to Sydney. So, contact Optimove now for your interstate moving needs. You will find casual, productive moves that will make short work of your migration. Please give us a call on 1300 400 874 or send us an email at info@optimove.com.au and will quickly address any questions you may have. Try not to put your belongings at risk by trusting anyone! Optimove’s furniture removalists are all very prepared, experienced, and friendly migration specialists. Moreover, every one of our moves is going by a committed group leader with more than four years’ and 600 moves’ involvement in executing consistent jobs. There is no circumstance we can’t deal with confidence and polished skill. In addition to our phenomenal groups, you will likewise get your moving facilitator. You will have your organiser’s telephone number. So, you can get in touch with them any time to ask them anything. From how to pack your home, to where precisely your moving truck is. We need you to be calm about your relocation, and our amicable facilitators are here to make it a peaceful day. When moving interstate with Optimove removals, we will assign a dedicated move coordinator to your removalist job at the start of the process. Those coordinators are expert Brisbane to Sydney furniture movers who understand the logistics required for moving very well. They will do their level best to help you understand the furniture removals process and be there to answer any questions that you may have. Our team will also provide you with useful moving tips and advice regarding life in Sydney. We make your removals experience a piece of cake! Packing your items can be a tedious and time-consuming aspect of your move. Optimove removalists will quickly and efficiently pack all your family’s stuff by a variety of packing supplies. We recommend that you properly stuff the moving boxes and wrap fragile items before you tape them. Also, make sure to label all sides of the boxes, so our movers will know what the contents are and where to place them in your new location. Talk to our team now regarding the packing services you need. So whenever you hire us to move your furniture, you will find our movers punctual, very friendly and they take extreme care in assembling and disassembling furniture. Our team members will take care of your stuff like it’s ours, plenty of straps & tarps to secure and protect your loading. Competitive prices for all areas looking forward to seeing you. You will also get most of the packing covered. All you have to do is tell us what you want packed. We bring the boxes you’ll need, and help you pack just the required items or rooms. If you have a few items or a small interstate moving needs, you might need to consider Backloading. Optimove offer an economic interstate furniture removals Sydney / Brisbane. That’s called Backloading. Likewise, we offer furniture backloading Sydney to Brisbane and vice versa. Initially, backloading might not sound normal, especially the idea of sharing the truck with other customers across long trips, but it can save you money. Even if you have a big interstate moving request, we can handle it. We offer the top backloading service for transporting items from/to Brisbane. Our trucks are moving across numerous locations in Australia daily. We move our customers’ treasures with the utmost care. And ensure that we take every possible precaution to make sure that our customers’ items reach the new location with no damage. Call us now to find out more. It is very likely that when you are chanting your Movers Mantra much of your stuff will be recyclable. The paper alone – old documents, boxes, folders, etc. – could save you a prominent space on the truck during your relocation. Manageability is something we care profoundly about at Optimove. That is the reason we focus on carbon-neutral practices. And utilising economic, natural and recycled items wherever conceivable to guarantee your movement is as effortless for Mother Nature as it will be for you. Your recycling bin is the first place where you can place recyclables. If you need to brush up on what you can and can’t put in the yellow-top containers in Brisbane, have a look at this guide. If you need to recycle more or more substantial items such as batteries, empty gas bottles, old paint or oil, or electronic waste, you can take them to your local Brisbane Resource Recovery Centre (they’re much more than tips these days!). Check Brisbane City Council website to find out the full list of what you can and can’t recycle for free there. If you’re looking for a professional home or office moving service, consider working with the experts at Optimove Removals. We are a Brisbane based moving company that has a wealth of experience in all aspects of furniture removal. Because of that, we think about all the small details to fully support you and your family during the relocation. 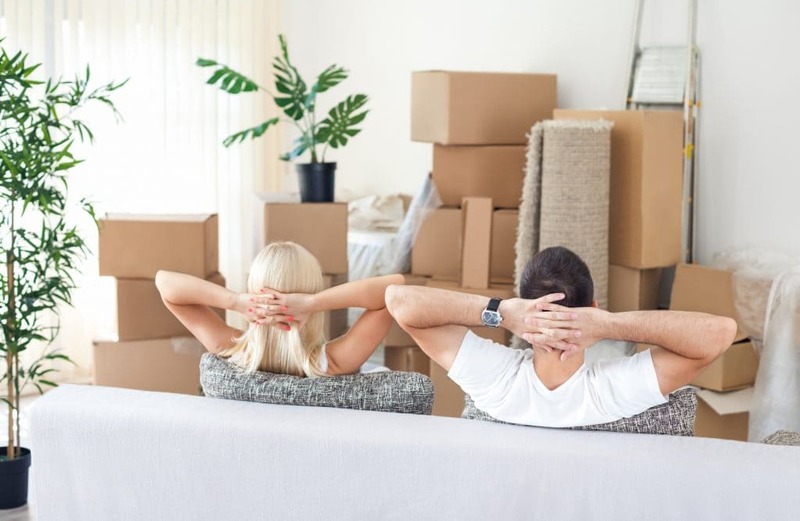 Pricing a furniture relocation can be a little fiddly as there are many details and aspects of the service that can vary once the move is underway. Does the load fit into the supplied truck/s? How many removalists would you need to pack all your belongings? How long will the trip take? Was it implied that the cost covers boxes or shrink-wrapping, but it turns out that they’re optional extras? Those extra, unexpected costs can add up to a lot, and a price that initially looked inviting may turn out to be just a hook to get enquiries. This can make it difficult to budget for removalist costs when you’re not sure what the final figure will be. Sydney Brisbane removalists are our speciality. Our team of experts offer worry-free interstate moves between the capital cities of Queensland and New South Wales. With hundreds of moves and happy customers across Australia. We are sure that our moving services will satisfy you and will relocate you to the new place safely. So, if you are looking for the right furniture removalist between Sydney and Brisbane, or any of the surrounding suburbs you are in the right place. Whether its a home removal in or moving office, we are here to help call us or email us at info@optimove.com.au. At Optimove, we know it’s essential that you know precisely where your cash’s going. Because of that, we have an open, legitimate, and straightforward pricing system, free from any shrouded expenses or fine-print. For your move cost, call 1300 400 874 to get a commitment-free statement. With its pockets of concealed green space, flourishing multicultural community, and blasting business scene, Sydney NSW is an incredible city to move to. Also, you can make your turn and relax on moving day by picking the best movers. Whatever you need to move, Optimove removals has got you covered. Our experienced and professional Brisbane to Sydney removalists has undergone rigorous training movers programs. They always ensure they provide you with efficient and reliable moving service while handling your furniture with the utmost care as if it was our own. We take the necessary precautions to ensure your belongings are protected from any potential damage and arrive in the same condition as when we packed them. Optimove interstate removalist services provide a friendly, fast, and highly efficient and professional service for the town and country removalists services. We treat our customers with respect and total transparency in providing a real white glove removal service. All of our removalists are fully trained, trustworthy, and permanent employees who take care while handling your belongings to ensure your items arrive in the same condition as when they left. Optimove service Australia’s Eastern Seaboard in locations between Cairns and Port Macquarie, Charleville and Bourke and offer a stress-free removalist solution for home or office business relocations. Optimove removalists Brisbane is the service provides who will also make you smile, contact us via our online removals form or call 1300 400 874. You can also check our Brisbane removal review online to see what our happy customers experience. We always do our level best to provide a furniture removal service that exceeds your expectations! I was very impressed with the responding speed when I was looking for a quote. Then every step after impressed me further with excellent removalist service, easy communication, the boy’s hard work and professional manner!! I underestimated the amount of my stuff, and the boys had to stay late a few hours to get my moving done. They worked around to accommodate my needs. Thank you so much!! I couldn’t flaw any step of the process! Well done guys! Also well done the business on training staff. Great experience! Would give these guys more than five stars if I could! I've now used them twice in a couple of weeks to move my stuff into storage and then to my new place, and they've gone beyond my expectations both times. Great price, great movers service from start to finish, rapid but also very safe. Couldn't believe the strength of TJ today and the guys' ability to get everything up two flights of stairs with minimal fuss. Will be using and recommending Optimove for every move in the future. Cheers! Our interstate move was handled with great professionalism, patience and care by the Optimove removals team. This is our first move, and as with any move, there are complexities. Before the move, Liam at head office dealt with our myriad questions and phone calls with great patience and reassurance, especially as we were not going to be there for pick up. Sam and Ahmed, who delivered and offloaded our things, were absolute gems. They worked fast and hard and took great care in placing every item and box so as not to damage/scratch any walls/floors. Like others, I chose Optimove removalists due to the many 5 star reviews, and now it’s my turn to add another one. I was initially hesitant about using an hourly rate service with the fear of time wasting for an additional charge. This was not the case with Optimove. I was assigned TJ and Izzy for my move, and these two guys were machines. They did not stop for a second and in fact, they even at times very politely hurried me along (but still listened attentively) when I was giving them instructions so that they could get the work done in my required timeframe and not have to charge me extra. Moved a couple of months ago with Optimove and couldn't be happier with their service. Daniel and Brian were fantastic. The guys had to move all of our stuff up four flights of stairs as our new apartment doesn't have a lift, and they didn't skip a beat. I was exhausted after going up, and down the stairs a couple of times, these guys were doing it for hours and barely needed to rest. Will definitely be using Optimove for my next move, thanks, guys! The original price quoted was $65/ per half hour/ min 2 hours, and when we booked our move for 5 am, we were charged an extra $22 per half hour (which was excellent for the early wake up) but then we had to book a minimum 4 hours! At first, I misread and thought it was $87 per hour which I thought was awesome compared to what I was quoted, but my bad - I didn’t read it properly. In comparison to pricing, Mini Movers were not going to charge extra for out of hours and were cheaper per hour. We only used 3 hours in the end and the price quoted is not inclusive of GST. The boys from OptiMove were absolutely amazing. The team who scheduled our move were friendly and understanding. Our removalists, TJ and Brian, were machines. They packed all of our goods with impeccable care and didn't take any shortcuts. They were fast, efficient, friendly and just downright good blokes. The boys covered all of our furniture in shrink wrap, and nothing at all was marked. The whole Optimove experience was amazing. They charge less than the competitors and provide A+++ class service. We would use them again! Cheers guys! I'm so happy with the hassle-free move and will definitely use them in future.